July 4th weekend, a few miles from Washington, D.C., Professor Real Estate® Suzanne Hollander, real estate commentator, blogger, attorney and broker, was invited to participate in an “Art Funeral,” discussing art’s value to real estate and city life. Scroll down, read the art & real estate success story Suzanne shared with the Capital Gazette Newspaper — art that lives on Miami walls (“Wynwood Walls”), adds value to real estate, creates a unique place, earns recognition nationally & internationally and is supported by property owners & the City. Click here to watch Professor Real Estate®TV Episode: Art Add Values to Real Estate, Art Bloom = Real Estate Boom filmed at Art Basel -Miami Beach. 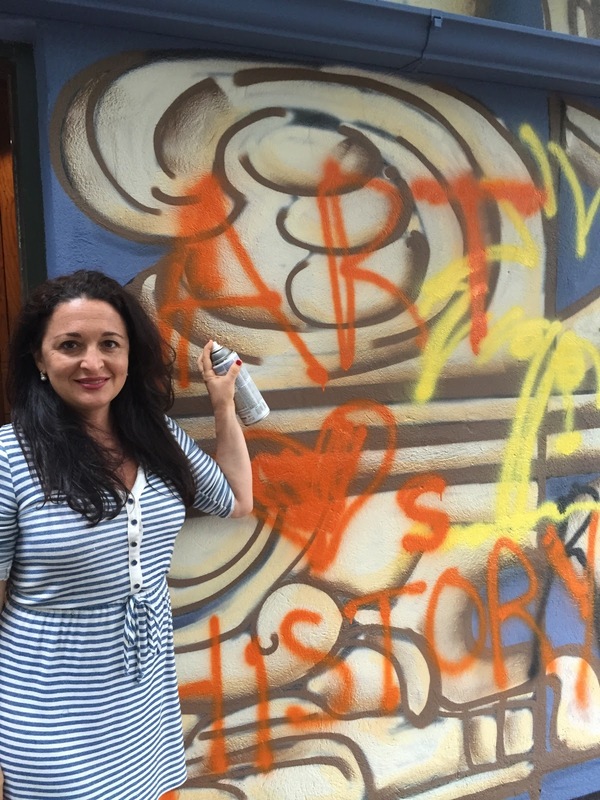 Professor Real Estate® Suzanne Hollander believes art brings life & value to real estate and cities, and hopes, although it was fun to spray paint the wall, that there is never a need for another art funeral in any city. Contact Suzanne Hollander to buy and sell property and in Florida and Maryland – she is licensed to sell in both of these states and loves property with art! Click to contact Suzanne Hollander to sell & buy real estate. Suzanne represents a global network of sellers and buyers in a confidential, professional, results oriented manner and knows of a volume of on-market and off-market properties. Professor Real Estate® Suzanne Hollander is a real estate broker, attorney educator and commentator and voice for real estate, housing and property rights, frequently quoted in the media, including Wall St. Journal Money Watch, YahooFinance!, Miami Herald, El Nuevo Herald, Wallethub, The Real Deal, Mercado De Dinero USA & Scotsman Guide Commercial Real Estate edition.